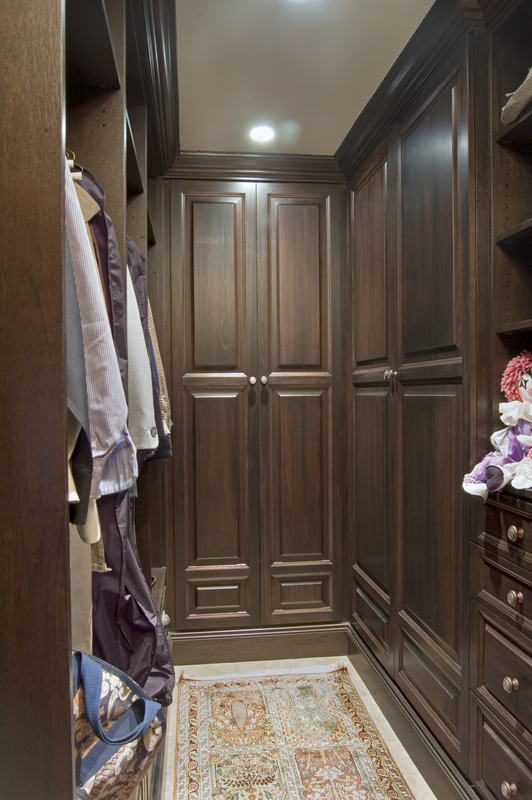 Custom cabinetry by Stimmel Design Works creates a very organized closet and dressing area adjacent to the master suite. A folding door hides the conveniently located washer and dryer from view. 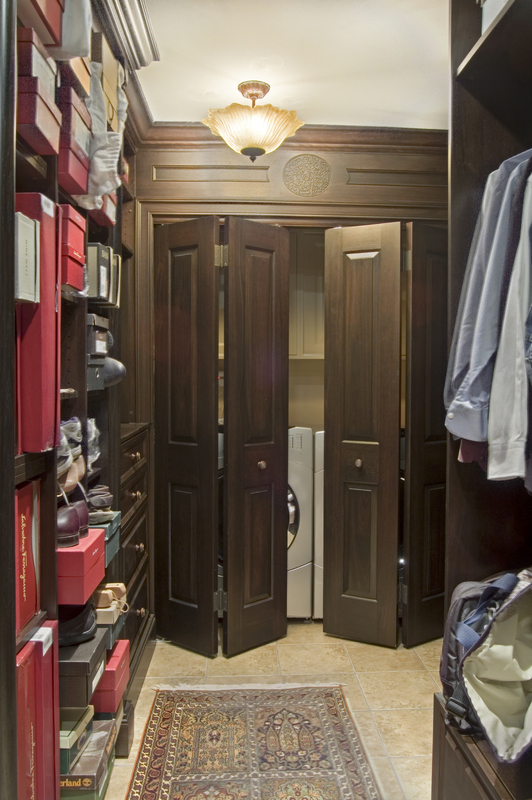 Sharing a closet requires skillful planning! 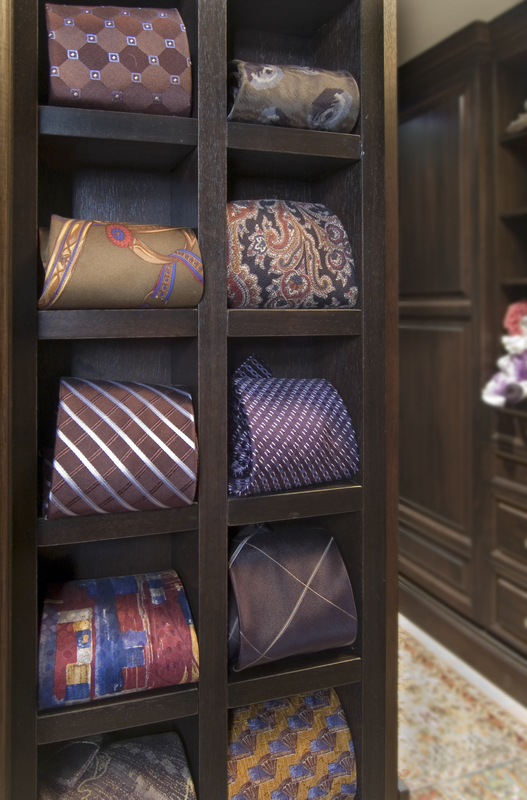 Custom cubbies and shelves provide structured places to store folded clothes, shoes, and ties.